Clover bartender John Tindley pours a cocktail from the new restaurant’s expansive drink list. Clover welcomes guests with a redwood arbor, a tranquil fountain and a beautifully crafted gate with the restaurant’s moniker. The interior of the former Dawg House Eatery has been transformed from stark white to a palette of earth tones that enhance the natural light of this Craftsman-style house near Gonzaga. Clover, which opened May 1, is a joint effort of owners Scott and Liz McCandless and Paul and Marta Harrington to change the way Spokane eats. Scott McCandless blames the growing trend toward obesity in this country on the flood of prepared foods. “People need to know where their food is coming from,” he says. Clover prepares almost everything from scratch, doesn’t have a deep-fat fryer, and desserts —called petite bites — are scaled down in size. The Citrus Pie ($3) — Key Lime filling in a graham cracker-chocolate-amaretto cookie crust is the perfect ending to a meal: small, sweet and satisfying. From herbs grown in the on-site greenhouse to the sustainably raised Rathdrum wheat used in Clover’s bakery, ingredients are carefully sourced. That commitment to perfection shines through in the salmon cakes ($12), crispy round nuggets filled with rich, wild king salmon flavor. The kabobs ($26), small chunks of skewered beef and lamb brushed with tzatziki, are melt-in-your mouth tender. 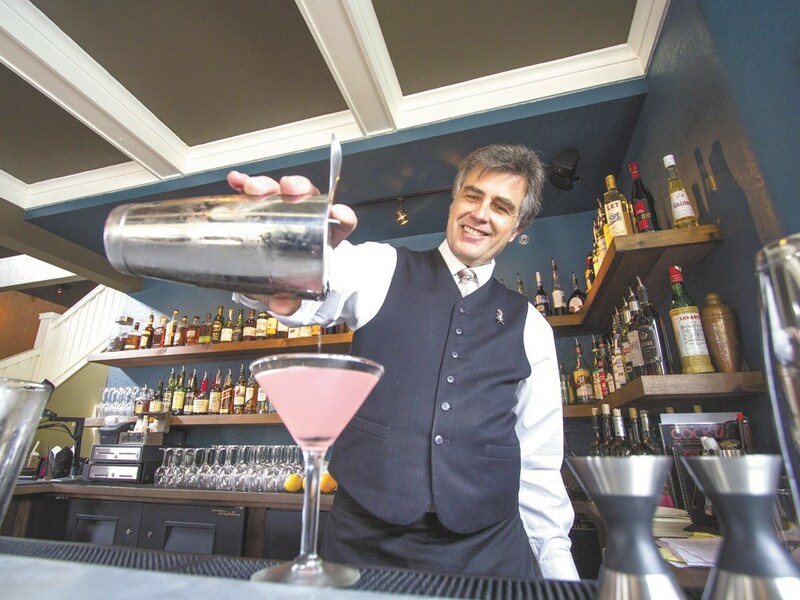 Equal care goes into the drink menu, created by Paul Harrington, a former professional bartender and author of Cocktail: The Drinks Bible for the 21st Century, who is well-known for leading a cocktail revival in the late ’90s. Cocktails are designated with a one-, two- or three-clover rating, denoting the complexity of the drink — helpful to cocktail neophytes and the adventuresome drinker alike. The Clover Club — citrusy with a touch of raspberry — might just lure Spokane away from its love affair with the huckleberry mojito. I’m betting that the Jasmine, with its refreshing grapefruit flavor, will be in high demand on Clover’s spacious patio this summer.